Like countless others Philippe, Michel, Andre and Patrick were labeled 'idiots', locked away and forgotten in violent asylums, until the 1960's, when the young philosopher Jean Vanier took a stand and secured their release - the first time in history that anyone had beaten the system. Together they created L'Arche, a commune at the edge of a beautiful forest near Paris and a quiet revolution was born. Now in his 80's and still at L'Arche, Jean has discovered something that most of us have forgotten - what it is to be human, to be foolish, and to be happy. 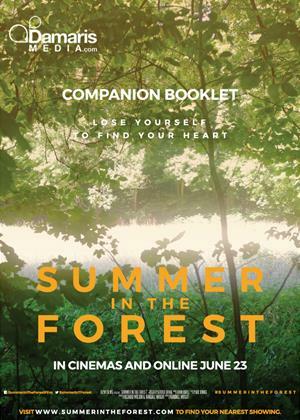 In 'Summer in the Forest', Philippe, Patrick, Jean and the others welcome us into their lives. Michel wants to share with us his war torn past, Andre is desperate for a date, and young David will prove himself a hero in the fight against the forces of evil.